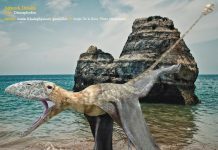 Anhanguera is a pterosaur which lived approximately 125 million to 115 million years ago during the Early Cretaceous Period. 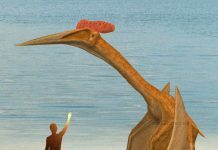 It was first discovered during the 1980s and was named in 1985. Its name means “old devil” in Portuguese. 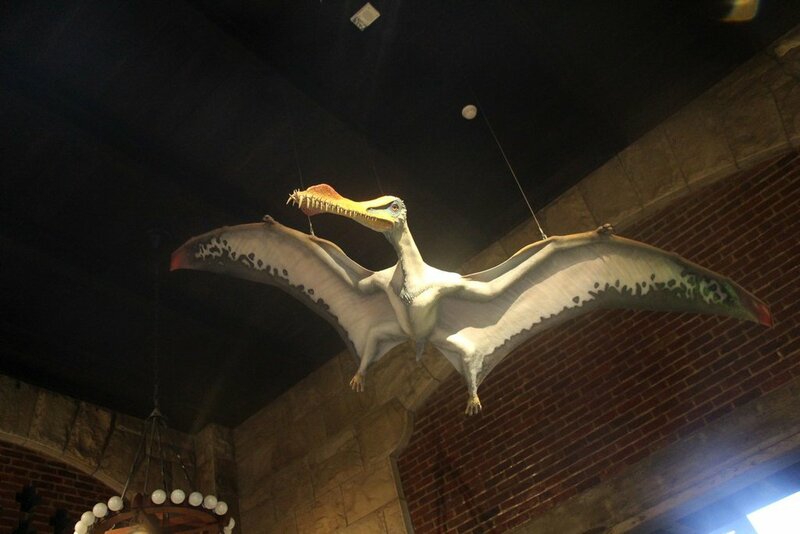 This is one flying reptile that you may not recognize from Anhanguera pictures. 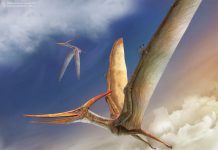 That’s because this pterosaur was discovered relatively recently – as compared to other flying reptiles – and doesn’t get the media attention that pterodactyls do. Which is quite a shame because this was one remarkable creature. 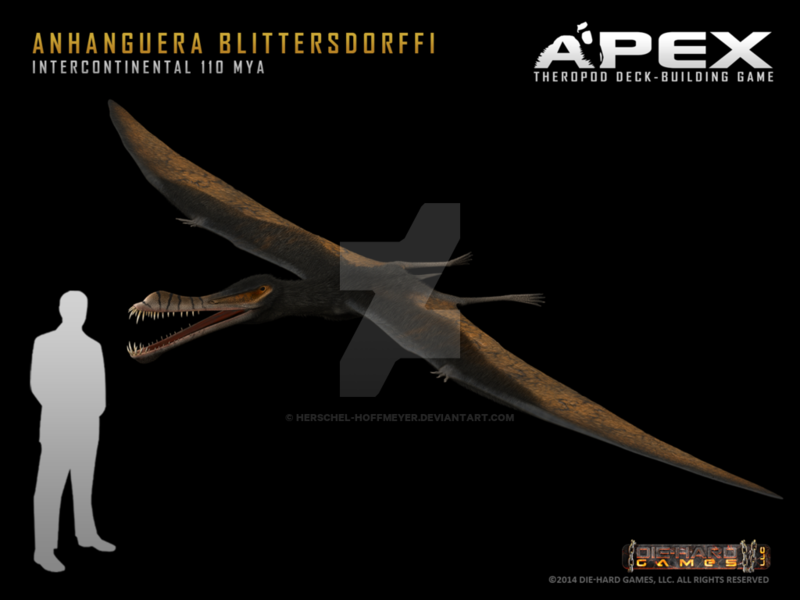 Anhanguera was approximately 4 feet tall, weighed around 50 pounds and had a wingspan of about 15 feet. 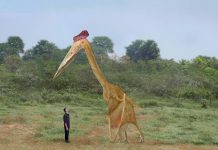 That means its wingspan was about 3 times larger than a Crowned Eagle and its weight was about 12 times heavier than a Red-tailed Hawk. 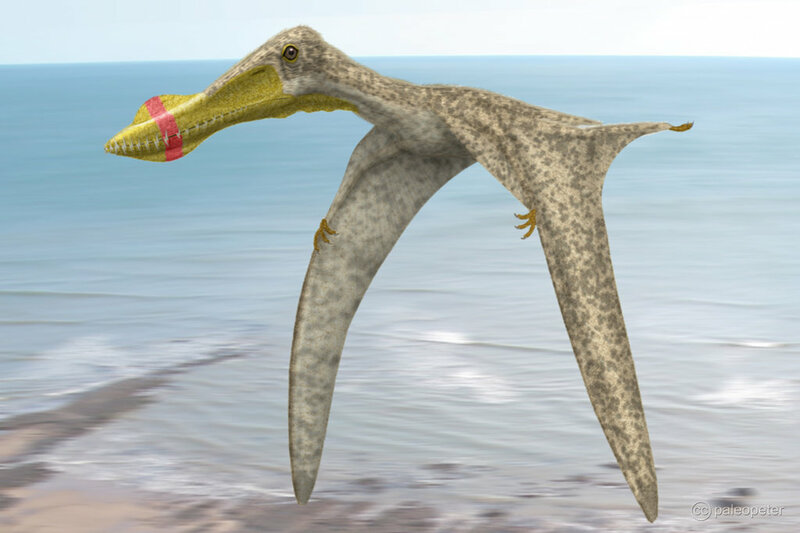 It had crests not only on top of its beak but also on the bottom. 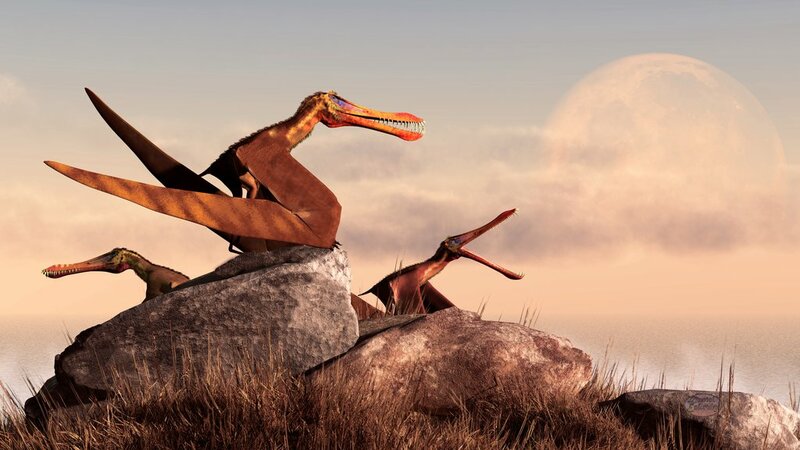 One of the most interesting facts about Anhanguera is that it had relatively weak legs. Which means that it probably spent the majority of its time flying. 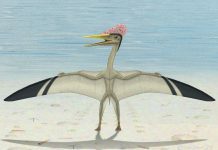 If it did spend any time whatsoever on the ground, then it most likely walked with a very unusual gait and probably was a little wobbly. 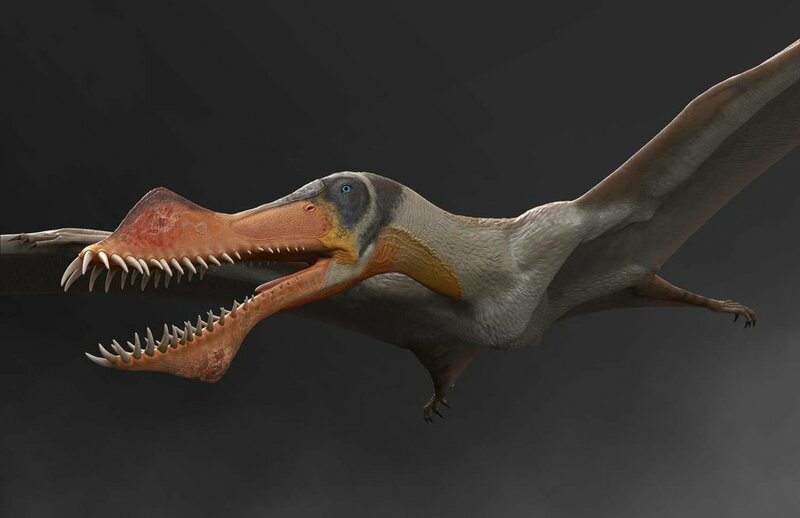 Most paleontologists believe that this pterosaur used its beak to scoop up fish, but it is also possible that it hunted for carrion from dead animals that it discovered on land as well. 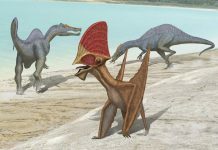 It may have also eaten a variety of different insects as well. 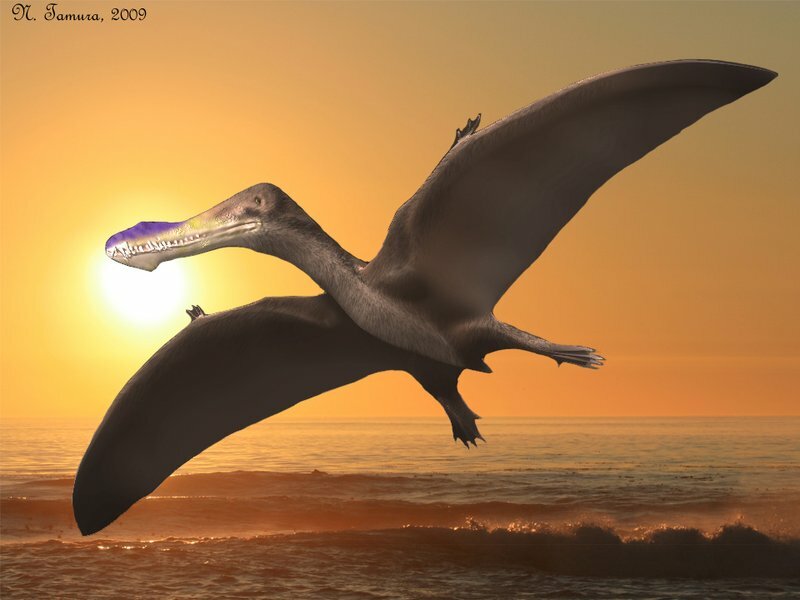 Which means that it may have had one of the most diverse diets of any flying reptiles of its time.